A recent article (4th April) in The Economist stated that ‘The history of economics has been, among other things, a story of learning to care less about land’. Though not intended as such, this exposes a blind spot among current economists which accounts for the instability and inequitable distribution of income and wealth in the capitalist system. In his Inquiry into the Nature and Causes of the Wealth of Nations, Adam Smith recognised three factors of production that combined to create wealth: land, labour and capital. At the time of writing, the economy was still largely rural so that the relevance of land was obvious, but with the advent of the Industrial Revolution, the provision of capital assumed much greater importance. The area of land required for a factory, office or bank was much smaller in relation to the wealth created than in agriculture. This created the impression that land was no longer such an important aspect of the economy and both Marxist economists and neo-classical economists largely thought in terms of a two factor economy of labour and capital, whose interests seem diametrically opposed, the situation we have today. However, this is to misunderstand the role of land in the creation of wealth which has not changed and cannot change. How we use land changes over time, it is true, but no wealth can be created without land. To understand why, we need to appreciate that, in the context of wealth creation, land means everything nature provides free for the use of humanity: the earth’s surface, the minerals below the surface, the fish in the sea and today the electromagnetic spectrum. Without this resource, no wealth can be created. A measure of the importance of land is the high price paid for prime locations: a square metre of land in the City of London costs more than a hectare of prime agricultural land because it is scarcer and more productive. The failure of modern economists to acknowledge the vital role of land in the wealth creation process lies at the root of the instability of the capitalist system and the great disparity in income and wealth distribution. It was the genius of Henry George to recognise that a tax, graded according to the market value of bare land, his land value tax, could not only resolve these weaknesses, but also provide the government with a secure source of income without needing to resort to a plethora of taxes which hamper wealth creation. 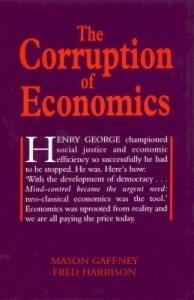 Conditions have changed since Henry George wrote Progress and Poverty in 1879, but the laws of economics have not. Several of the titles in the Shepheard-Walwyn Ethical Economics list explore how Henry George’s ‘remedy’ could be applied in the modern context. 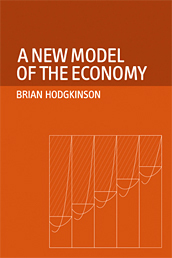 A New Model of the Economy explores the relevance to both macro- and micro-economic analysis of spatial location which gives rise to economic, or Ricardian, rent. 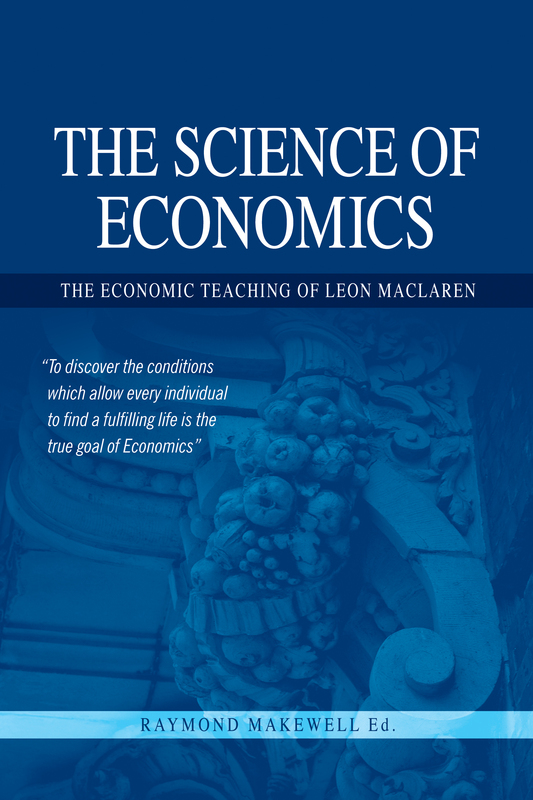 Instead of making supply and demand the starting point, The Science of Economics begins with the simple observation that all material wealth is ultimately derived from land, and, where goods are exchanged, the first requirement is trust, or a system of credit. 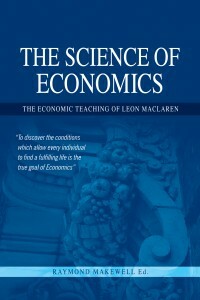 From this starting point the major characteristics of the modern economy, such as banking, companies or corporations, international trade, taxation and trade cycles, are examined in terms of the conditions that govern how and why they evolved and how they operate today. 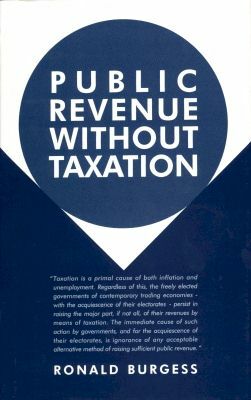 Public Revenue without Taxation shows how ‘the development of Keynes’ general theory of employment leads to the conclusion that an open trading economy is likely to be most competitive, and therefore most prosperous, only when taxation is abolished’. To explain how government can be funded without taxation the author refines Alfred Marshall‘s distinction between the public and private value of property to reveal an alternative, peculiarly public source of revenue. Global Campaign for Jobs and Poverty Reduction. Tax reform in the air?